The bestselling, de-facto upgrade for the BMW 1 Series F20. Superb prices on high-quality, bright bulbs as the nights get darker. 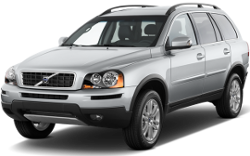 In need of OEM replacement rear lights for your XC90? We have the best price and service available. Bestseller: Our exclusive xenon-look upgrade is as close to OEM xenon as possible, for a quarter of the cost. New to buying your own parts? Read our quick guide to help you choose what you need.